2712013-354-2.5 - Alpinestars Karting Shoes - Tech 1-K - Dezod Motorsports Inc - Home of the automotive performance enthusiast since 2002. 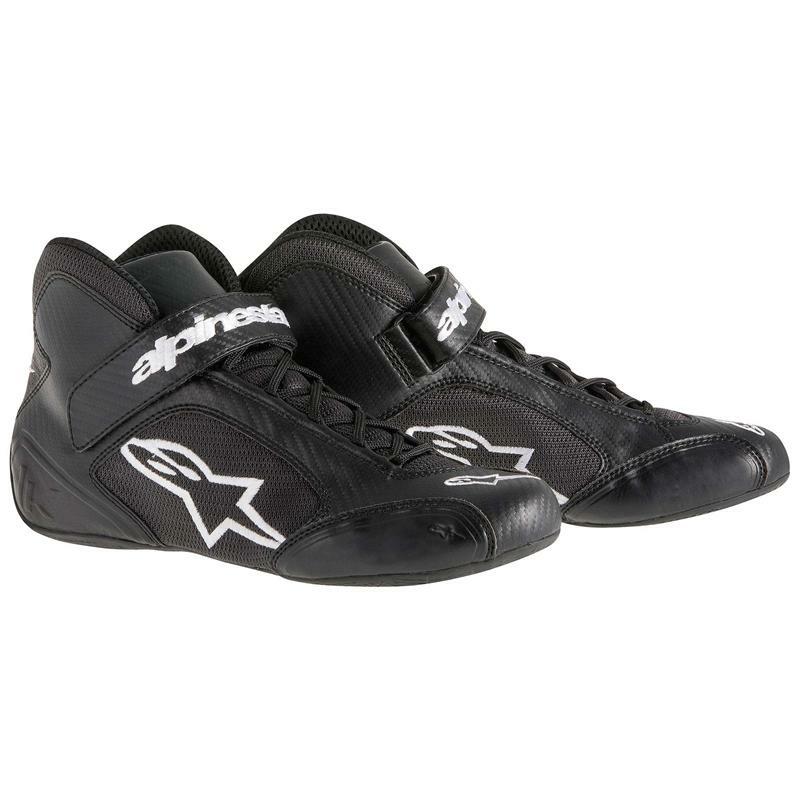 The Alpinestars Tech 1-K Karting shoes have long been the standard for kart racers around the world. Constructed from a combination of microfiber and mesh, the Teck 1-K has been specially developed by Alpinestars’ auto racing footwear department for extreme durability and comfort. An exclusive rubber compound covers the supportive sole for impressive levels of grip, while maintaining comfort, flexibility and touch-sensitivity of the pedals. Advanced hybrid construction consisting of durable microfiber upper and mesh to afford ultra‐light weight, excellent breathability and superior feel. Strategically placed mesh paneling placed in the tongue, heel and side of the shoe offer excellent ventilation. External toe reinforcing for additional abrasion resistance. Low profile ankle with Velcro strap closure for a customized and secure fit with support and padding for comfort. Innovative lacing system features Kevlar-reinforced eyelets for durability, styling and secure closure. Ergonomic footbed for greater feel and precision.